Please click on the following image to see full ads example. Your text ads will be displayed on city page. 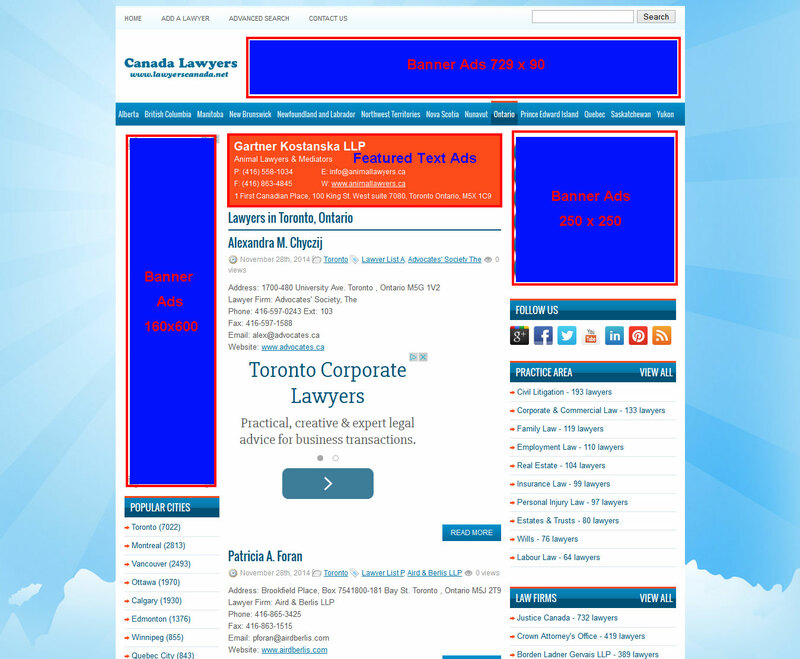 For example, if you are from Toronto, then your text ads will be placed on Toronto city page (http://www.lawyerscanada.net/ontario/toronto/). 250×250 banner ads will be displayed on the right sidebar of every page. 728×90 banner ads will be displayed on the top of every page. 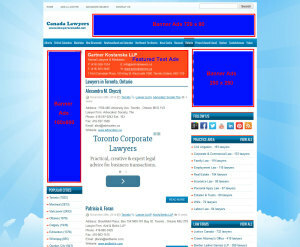 160×600 banner ads will be displayed on the left sidebar of every page. Please submit the following form, then we will contact you through the email to confirm everything, once confirmation done, we will put up your ads on page as soon as possible.